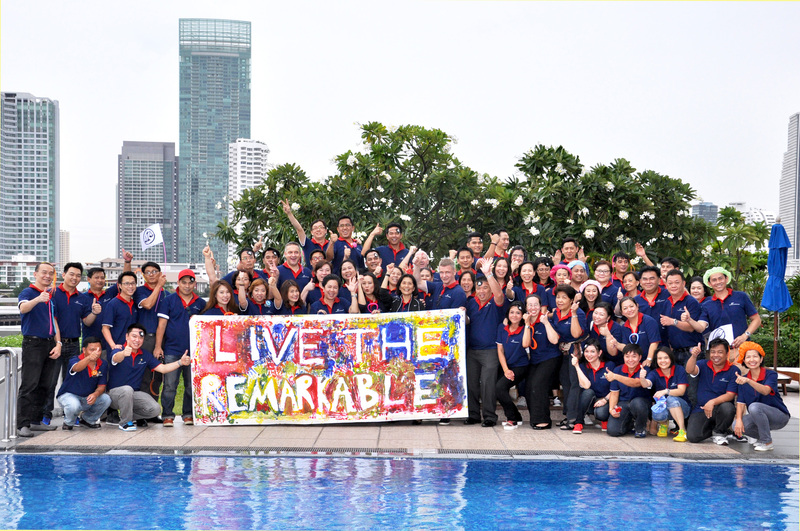 Bangkok, September 2015: Chatrium Hotels & Residences recently held its Annual Management Workshop with the headline “A Remarkable Journey Towards 2016” at Chatrium Hotel Riverside Bangkok. This 5th workshop aimed to maintain the brand relevance with its customer segments by considering new approaches and strategies to grow and move forward towards 2016 and beyond. Led by Managing Director, Mrs. Savitri Ramyarupa (front row center), the workshop was successfully attended by Chatrium’s General Managers and top executives from its luxury properties in Bangkok and Yangon.